This kimono shirt with long sleeves is ideal, especially for babies. The shirt goes on and off very easily, and there's no need to pull it over your baby's head, because it's a wrap shirt that closes with small plastic snaps. 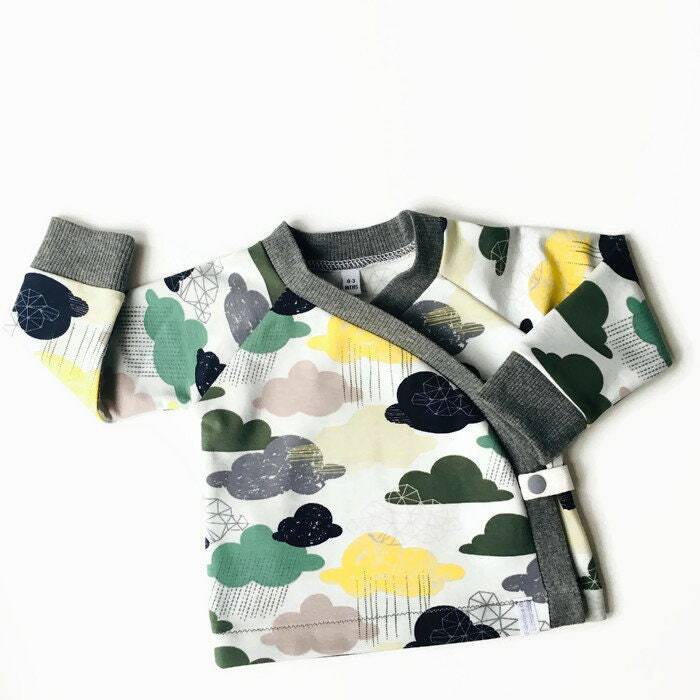 The gray jersey knit fabric with geometric clouds in green and yellow will look great on boys and girls alike. It makes a perfect baby shower or birthday gift!